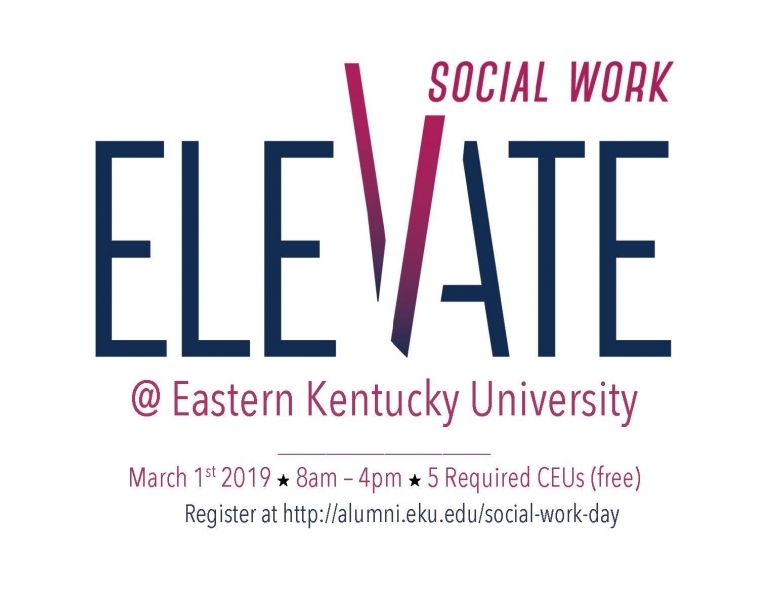 The Eastern Kentucky University Social Work Program provides a student-centered collaborative and dynamic environment that prepares students for competent and ethical social work practice in a diverse world. This is accomplished through self-reflection, rigorous academics, knowledge based on scientific inquiry and experiential learning in a safe and nurturing environment. We strive to graduate students who understand the complexities of the relationship between people and their environments, value human rights and believe in the dignity and worth of all human beings. Completion of EKU’s generalist social work degree will provide the knowledge, values and skills to become practitioners who can think critically and creatively. Our mission is to graduate ethical leaders who advocate for social and economic justice in rural, urban and global communities, with an emphasis on EKU’s identified service region. prepare students for advocacy and service to diverse populations-at-risk and to advance economic and social justice.